Interviews conducted by Southeast Asia Globe across three provinces revealed a growing climate of fear driven by local CPP officials allegedly abusing their power to deprive suspected opposition supporters of essential government services. Those who have grown frustrated with 30 years of CPP rule now find themselves forced to choose between being complicit in an election they see as illegitimate and facing the consequences a boycott could bring down on their families. The Butcher claimed that his local commune officials had threatened to withhold their services as essential notaries and mediators to citizens not bearing the telltale ink on their index finger following this month’s commune elections. Commune councils are responsible for ensuring their constituents have access to essential health and social services, and oversee the bureaucracy of day-to-day life. Commune chiefs, deputies and clerks serve as mediators in business and family life, overseeing marriages and divorces. Hun Sen’s Cambodia author Sebastian Strangio said that the ruling party had long used its stranglehold on local government to pressure Cambodian citizens. With the CNRP leadership in prison or scattered across the globe, and the nation’s military and police dominated by the ruling party, it seems unlikely that a CPP win would be greeted by the same widespread street protests that followed the controversial 2013 result. Strangio said that for many Cambodians, ways of expressing dissatisfaction with the CPP’s actions were running thin. For the Barber, it’s not enough. Staring out across the dusty roads of Sen Sok, he describes a future that feels all too familiar to those who have grown up under the thumb of a one-party state. PHNOM PENH, Cambodia — It’s election season in Cambodia, and the fireflies are out. The question many Cambodians are asking themselves ahead of this month’s general election is not so much which party to vote for but instead whether they should vote at all. It’s all but certain that the ruling Cambodian People’s Party (CPP) will win the election to be held on July 29 as its only viable rival, the Cambodia National Rescue Party (CNRP), was dissolved by court order several months ago. But if the CNRP has its way through a so-called “clean finger” boycott campaign, the election result will lack legitimacy at home and abroad due to a low voter turnout. In November, the Supreme Court ruled to disband the CNRP after it was accused of trying to foment a “color revolution” aimed at toppling Prime Minister Hun Sen’s CPP-led government. Most of the CNRP’s politicians who were banned from politics for five years on court order have since fled the country while its president, Kem Sokha, languishes in prison on what are widely viewed as trumped up treason charges. Now, CNRP officials have from exile called on Cambodian voters to boycott the upcoming election in a “clean finger” campaign, reference to the indelible ink used at ballot stations to indicate a person has voted. The goal, party members say, is to show that the upcoming election is a sham. 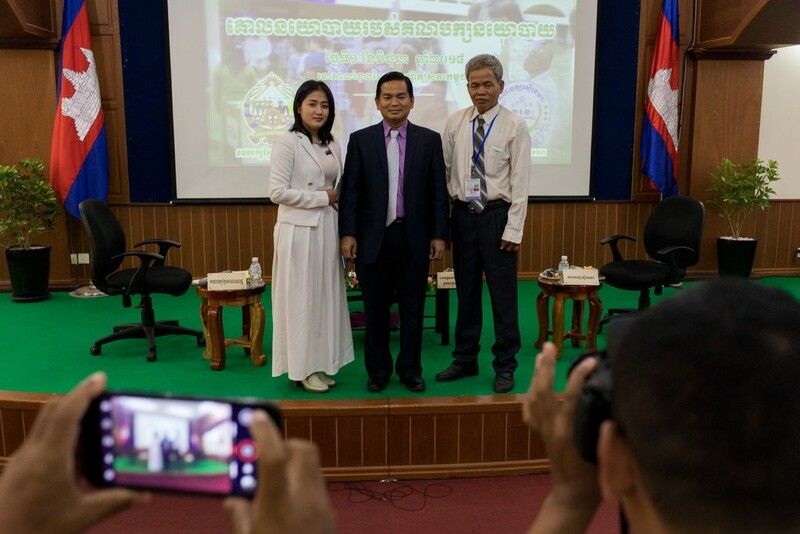 Originally intended to prevent the same person from voting multiple times, inked fingers have now come to connote a different form of electoral fraud in Cambodia, say analysts. 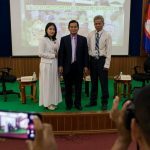 Over the past few months, numerous rights groups, reporters and Cambodia observers have reported seeing a large spike in phishing messages and hacking attempts. Now a report from a leading U.S. cybersecurity firm suggests such cases may be linked to a large scale operation from a Chinese cyber espionage group seeking to monitor the country’s upcoming and contentious July 29 national elections. In a report released Wednesday, FireEye details how a well-known Chinese hacking group called TEMP.Periscope targeted opposition figures, government departments, rights defenders and media outlets. Among those compromised by the attacks was the Cambodian National Election Commission, Interior Ministry, diplomats and opposition lawmakers. In the past, the group has gone after corporations, academics and defense contractors in the U.S., Europe, Taiwan and Hong Kong. FireEye, which has been studying TEMP.Periscope since 2013, said there can be little doubt they are working on behalf of the Chinese government. “The evidence we have gets us as far as information gathering, it definitely shows that China is very interested in the upcoming elections,” Benjamin Read, Senior Manager for Cyber Espionage Analysis at FireEye, tells TIME. China is a close ally of Cambodia, and has invested billions in infrastructure, development, military support and aid. “Any upheaval in Cambodia would be an issue for China considering their close partnership,” says Read, pointing to the recent election in Malaysia — in which the surprise outcome has caused a headache for Beijing with billions of dollars in infrastructure and construction contracts now being reevaluated. Such an outcome is unlikely in Cambodia, where the government last year dissolved its only viable political competition, the Cambodia National Rescue Party, and imprisoned its leader Kem Sokha. But the surveillance nevertheless highlights China’s deep interest in the inner workings of both friends and foes.